This category is where you will find the high-end, competition-quality YoYos! These are the ones used by professional YoYo players around the world. Most of these YoYos are advanced, unresponsive YoYos, so they are only recommended for serious players! 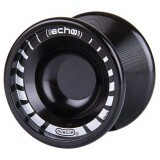 Inspired by the original Echo design, which won both National and World titles, the Echo 2 yo-yo.. The best-selling Metal Drifter™ combines high performance and high play value. Made of precision.. The Duncan SkyHawk™ is a top performing, 4A (off-string) machine! Perfect for the beginner to pr.. 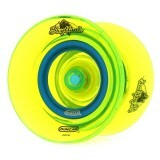 Designed by 2011 European Yo-Yo Champion Kohta Watanabe, the Strix™ features a clean, modern pro.. The brand new 7075 Aluminium Skyva shares the same shape and design as the 6061 counterpart - bu.. The Magic YoYo April (M002) is Magic YoYo's latest full-metal YoYo - and it is a brilliant throw.. The Carpfin is the latest fantastic new throw from Magic YoYo designed by yoyo designer and thro..
Magic YoYo have produced their first looping / 2A yoyo called the GHZ (D1 Model)! The GHZ.. The brand new Delrin Skyva is the answer to the number one most requested version in 2017, so he..
American YoYo Player Dylan Kowalski (yes, the one with the mohawk!) has teamed up with Magic YoY.. The Magic YoYo K3 is a slightly undersized all-metal, hubstacked yoyo that is super fast and fun.. The Magic YoYo K5 is a slightly undersized, narrow, step-round shaped, aluminium yoyo. It is a f.. 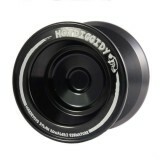 The Magic YoYo K6 (Bronze Saints) is a slightly undersized, narrow, aluminium yoyo with ful.. 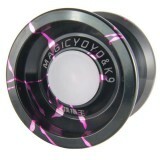 The Magic YoYo K8 is a full-sized, slightly inverse-round shaped, full aluminium yoyo with quite.. 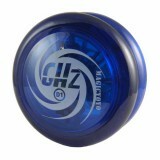 The Magic YoYo K9 is a full-sized, H-profile shaped, full aluminium yoyo with quite flat rims. &..